ZANESVILLE, Ohio – Students from around the area were given the opportunity to learn how to make their own app in the regional hackathon event. TECH CORPS hosted the hackathon sponsored by AT&T, where local high school students had the chance to create apps that focused on the opioid crisis. 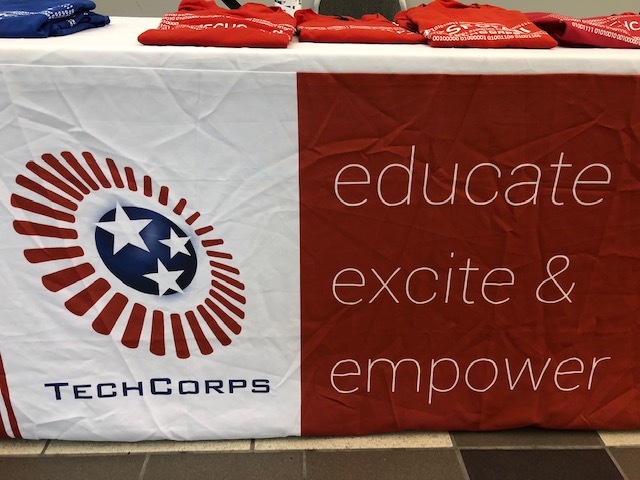 Tech Corps is a nonprofit organization dedicated to ensuring students have access to computer science and information technology skills and programs that can prepare them for college or a career. “The theme of the TECH CORPS hack is to learn, create, impact. So our hackathon is slightly different from others in that students will learn about the platform and app development, they will create their app, and then it will ultimately impact the community,” said TECH CORPS Director of Operations, Carla Easley. The students were divided into teams, and learned how to create their apps with a mentor. Then students learned about the opioid epidemic, afterwards they start designing their app. Later, they present the apps to the other teams and to judges. Winners are chosen from there. “So far I’ve liked it, we had multiple people come in and talk to us about the opioid epidemic in Zanesville,” said student, Leah Clapper. “I have been doing programming and stuff for quite a while and I wanted a challenge, so I came here to learn what program they’re using and the stuff that they’re doing. And educate myself more on the programming world,” said student, Alexandria Roberts. The winners of the Zanesville hackathon will go on and compete with the other winners from Columbus and Dayton. Each member of that team will win $500.